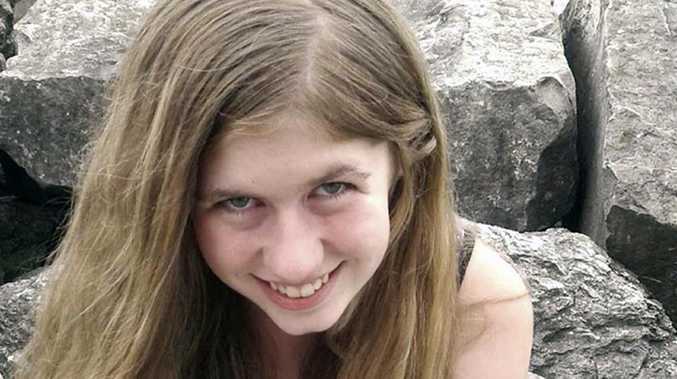 Court documents have alleged that Jayme Closs was kept under a bed and threatened with “bad things” if she was not compliant after being kidnapped. Picture: courtesy of Barron County Sheriff's Department. A US teenage girl hid in a bath tub with her mother and listened to her father being murdered, court documents claim. 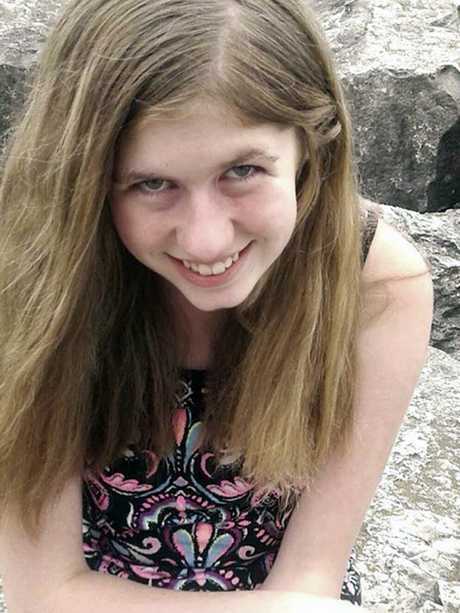 Jayme Closs, 13, was then allegedly duct taped by her wrists and ankles and dragged outside to the boot of a car and driven to the home of her kidnapper, where she would be kept under a bed for 88 days before making a perilous escape into the snowy woods of Wisconsin. 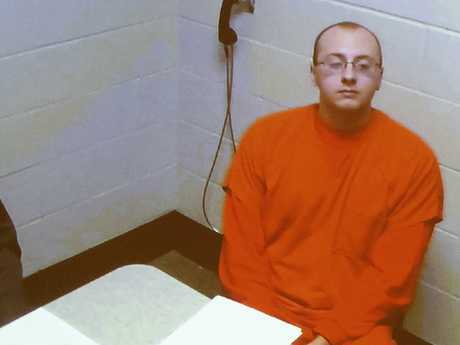 The teenager is lucky to be alive after Jake Patterson allegedly set about an elaborate and detailed plan to abduct the young teenager after spotting her boarding a school bus on his morning commute, police say. Horrifying claims of the teenager's time in captivity, and how she made her escape, have been detailed in court papers. Criminal complaint documents filed against Mr Patterson include terrifying claims of how a peaceful family was shattered by a murderous villain who set his sights upon the teenager, blowing his way into the family home with a shotgun in all black military gear and throwing her into the trunk of his car after killing her parents while she cowered in the bathroom. 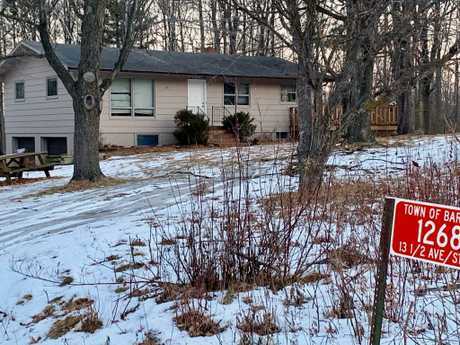 According to the charge sheet filed in Barron County, Wisconsin, Mr Patterson confessed to killing James and Denise Closs and abducting their 13-year-old daughter. Before Mr Patterson accused at the Closs home, Jayme, who loved her dog and ice skating, had been peacefully sleeping in her bedroom. According to the complaint, some time after midnight, her dog started loudly barking, and Jayme got up to see what had alarmed her dog and saw a figure walking up her driveway, then woke her parents to tell them. Her father James got up to see what was going on and Jayme said a man was at the door with a gun. 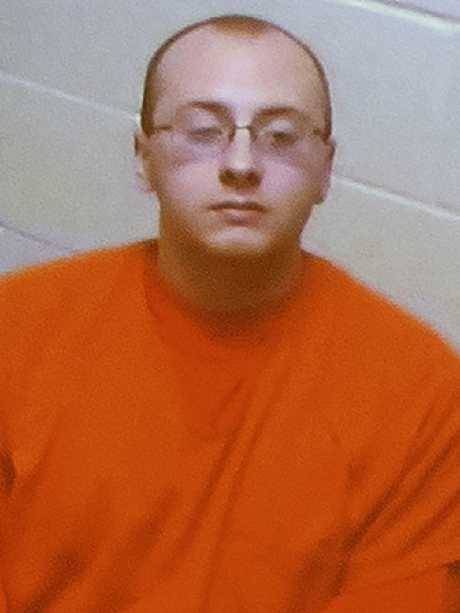 That man was Jake Patterson, court papers allege. Terrified, Jayme and her mum Denise hid in the bathroom, trying to barricade the door, while her father went to the front with a torch. Jayme and Denise got into the bathtub to hide, according to Jayme, while Denise tried to call 911 on her cell phone. Jayme told prosecutors she heard a gunshot and at that moment she "knew her father had been killed". Despite Denise's best efforts to barricade the girls inside the bathroom, Mr Patterson allegedly kicked in the door. Court papers said the door was significantly damaged, with a rectangular panel of the door dislodged, and part of the door falling apart and it essentially being "split in a horizontal manner" before being forced inward. Jayme told investigators that while her mother had been trying to call 911, Mr Patterson instructed her to hang up the phone. No words were audible during the 48-second 911 call, the Sheriff said at a media conference. He said a lot of "movement" was heard on the call before the phone was hung up. Officers arrived at the home in less than four minutes, but it was too late to stop the murders of Jayme's parents or to rescue Jayme. The first time Jayme saw Mr Patterson was when he kicked in the bathroom door, according to statements taken from court papers. She said he was dressed head to toe in black, and was wearing a balaclava and gloves. The teenager claimed the intruder told her mother to put tape over Jayme's mouth, which she did, and then shot Denise Closs in the head in front of Jayme. Jayme then told police Mr Patterson taped her ankles and wrists behind her back, and said he told her to walk to his car before realising she was incapable of doing so because her ankles were bound. She said she was dragged outside to his maroon car and shoved in the boot before Mr Patterson locked it. A short time after they began driving, Jayme claims she heard sirens while she was taped up with Gorilla duct in the boot. Dispatch police attending the 911 call noted a maroon car passing them not far from the Closs home. Mr Patterson told police he could tell Jayme was "extremely scared" and "crying" as he cut the duct tape off her wrists and ankles and removed it from her face. Over the 88 days she claims she was held captive by Mr Patterson, Jayme alleged he threatened that "bad things" would happen to her if she did not comply with his rules. She said Mr Patterson sometimes had friends and relatives over and "made it clear" nobody was to know she was in the home. She alleged he forced her to hide under his single bed in the corner of the room for stints as long as 12 hours without food, water or bathroom breaks. He would pack bags and laundry weighed down with weights and barbells around the bed so she couldn't get out, and play loud music in the room so nobody could hear her. Mr Patterson told prosecutors that his "anger outbursts" made Jayme terrified of him. He confirmed in court documents the girl "knew" she was not to come out from under the bed while he was out of the house, saying she knew the rules and complied. He once hit her "really hard" on the back with the handle of a window blind of a similar apparatus for an event Jayme couldn't recall, court papers allege, and she was told the punishments would increase in severity if she stirred his temper again. 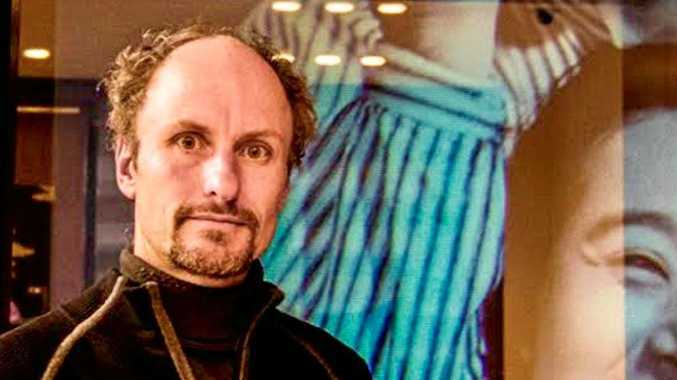 On one such occasion, Mr Patterson told Jayme he was leaving the house for "five or six hours" and to get under the bed, according to the documents. When he left the house she was able to push away the heavy, weighted bags and bins he had placed around the bed to trap her. She put on a pair of Patterson's dirty New Balance trainers and made a break into the Wisconsin wilderness. 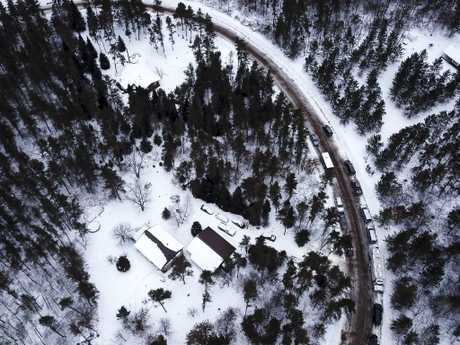 Jayme emerged from the woods and approached a local dog walker, Jeanne Nutter, saying, "I'm Jayme Closs!" Ms Nutter described Jayme's condition as "skinny and dirty but outwardly OK", saying her hair was matted. Police were able to locate Mr Patterson shortly after Jayme was found by her descriptions of his car. Upon being interviewed, Mr Patterson confessed to detectives that he killed Denise and James Closs. He said he'd spotted Jayme boarding a school bus while he worked for two days at a cheese factory and became sure that Jayme was "the girl he was going to take". He then went and purchased a balaclava he would wear during the killings at a local Walmart, telling detectives he put "quite a bit of thought into the details of how he was going to abduct (Jayme)". He stole license plates from a parked car to avoid detection. He shaved his face and head so as to not leave any of his own DNA at the scene. He wiped down all his shotgun shells so they were free of his fingerprints, so he could fire freely at his victims and walk away. Mr Patterson said he went to the Closs home one night to abduct Jayme but there were a lot of cars parked in the driveway, so he abandoned the plan. He returned again a day or two later, but again, he was hampered by the presence of too many people. He told police he thought he had gotten away with the crime after he was not approached by law enforcement after two weeks. He had never made contact with Jayme on social media and learnt of her identity through police reports. He said he would have got away with it if he had planned everything perfectly, according to the court documents.